As a newly wedded couple we decided to travel to Singapore and Malaysia; it would be a beautiful honeymoon trip as well a long break from all the workload. To our surprise we found that the 30 day visa was free of charge. When we arrived in Singapore we found the city is as beautiful as it looks in pictures we’d seen in magazines and as clean as it is reputed to be. Walking down the streets we came acrosssome beautiful malls, restaurants, marts and pubs. When we finally made it to our hotel, we got all freshened up and our hunt for the city’s gastronomic delights began. We were told by hotel staff to go to the Hawkers’ Center where we were lucky to find a table for ourselves as it was so very busy. The space was big with around five restaurants all in one place and their menus displayed on flex boards. All kinds of sea foods from lobsters to clams were available along with chicken legs and duck meat. We went for rice with duck’s meat, and a lobster which was on top of my food list. The duck’s meat was well marinated and oh so soft and tender, which for me was just the opposite of what we get here in Nepal. And as for the lobster, it’s now one of my favorite dishes. Our adventure had begun. Tour of Singapore: Singapore, although a small city has so much to offer, that one can never get bored, keeping the note on the warm and often balmy weather where getting around is easy on the brilliant public transport.The first thing to do before you leave the airport is to get hold of a Singapore Tourist pass, available at the TransitLink office at the airport. This card is a great investment as it gives you unlimited access to travel on busses as well as the subway and you won’t have to waste time buying tickets. We took a train to the most popular destination, Universal Studios located in the Sentosa Island. Being one of the top tourist destinations, it is usually crowded. Universal Studios Singapore presents a unique opportunity to experience a theme park tailored to regional tastes in cinema and television. Stroll down the Walk of Fame in Hollywood or visit the Lost World or Sci-fi City themed zones. If not, there’s always Ancient Egypt or the Kingdom of Far Far Away from the Shrek films. Sentosa Island conjures up some fun for everyone: sheltered beach, two golf courses, Resorts World Sentosa, Fort Siloso, the famous Merlion, and much more! You might be wondering what a merlion is. It’s pretty much what it sounds like: Half fish, half lion. You see, Singapore means the “Lion City”. And, since Singapore is an island, the merlion has become the mascot, marketing icon, and the anthropomorphic symbol of the country. 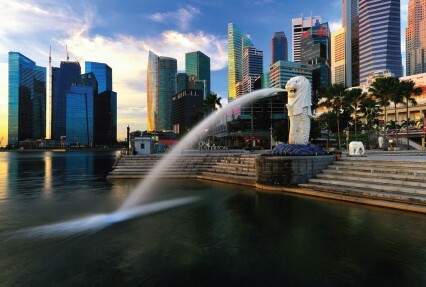 The world famous statue sits in Merlion Park. Sentosa Island offers more attractions than one can describe. A few among them are the Tiger Sky Observation Tower, Sentosa 4-D Adventureland, MegaZip Adventure Park, Wave House Sentosa, the Skyline Luge, iFly Singapore wind tunnel, Kidzania Singapore, and a lot more. As recommended by some people, we booked tickets for the Tiger Sky Observation Tower as it is the highest observation tower in Singapore, a great attraction. A trip on the Tiger Sky Tower top lasts around 10 minutes and you can enjoy sweeping views of Singapore’s beautiful harbor and skyline. The night is the best when visitors will be rewarded with a view of the city as it comes to life with thousands of colorful lights. There is so much to explore in Singapore, your only limitation is the time you have on hand. Next day, we visited the Singapore Zoo and Jurong Park (Bird’s park). It was surprising to see animals and birds kept so close to nature in their particular areas. Maintenance and preservation of nature in the form of ponds and rivers is really remarkable. A host of programs are held in every sector, like the seal show and the birds show etc. To keep up with what’s happening, don’t forget to check the schedules and participate. As the day passed quickly by, we welcomed the beautiful light of dusk and we were coming to the end of the tour, with tired and painful feet but we were happy and energetic souls. So we decided to go for a Night Safari, which began just a few steps away from the exit point of the zoo. It’s really frustrating to stand in line for an hour awaiting your turn but it’s worth it. They place you in the trams and off you go. The Night Safari is an open-air zoo set in a humid tropical forest that is only open at night. The naturalistic enclosures emulate the animals' native habitat. Animals are separated from visitors with natural barriers, rather than caged, similar to the Singapore Zoo's open concept.The animals of the Night Safari, ranging from Indian rhinoceros and pangolins to tarsiers and Asian elephants can be seen by lighting that resembles moonlight. At the end of the day you’re so tired, you feel you can sleep for a whole day or till late morning after so much of hard work in one day. The next day we made our way to the famous Marina Bay. As soon as we made our way to the entry point, we could see people queuing up to get into the Casino. Marina Bay Sands, one of the world’s most expensive buildings is today home to the highest rooftop infinity pool which is three times the size of the infinity pool. Reaching the top of the Marina Bay Sands means going up 57 floors and the elevator brings you out in front of the huge 150 meter long infinity pool surrounded by a lush green garden with palm trees and sun loungers. While you are impressed by the size of the pool the views of the city are surreal! Unfortunately, the pool itself is only open to guests of the hotel and you will need a key card to get access. However, you can go into the restaurants (reservation recommended) or the KU DÉ TA Skybar without a reservation from where you enjoy amazing views! There is no end to places you can visit in Singapore. There is the Underwater World with a collection of varieties of fish and other water creatures, including sharks. An adventure Water cove – just the perfect place to take your kids to have fun. Maybe dive with penguins or visit the harbor of Singapore. You can hire a ride or you can be happy just to look around. If you feel, you need your own time, walk to the nearest beach and chill out. 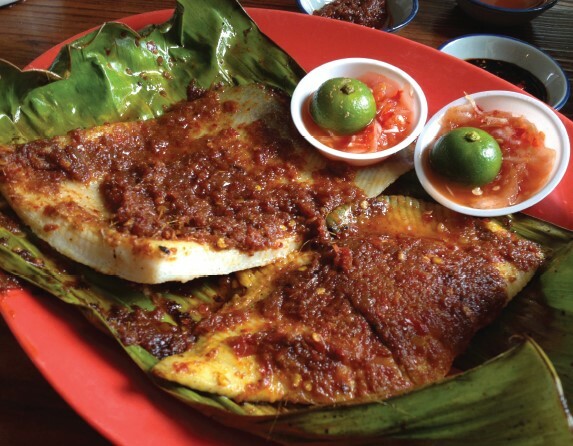 Foods to explore:When it comes to food, nothing compares to the local delights. Take a round of Hawkers’Center which is found in different corners of the citywhere you can find new and local dishes available at reasonable prices. There is a large variety of local as well as western dishes in the food courts in these shopping complexes. 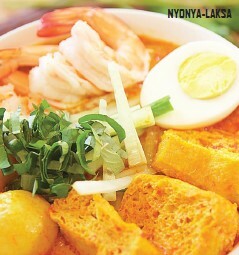 Singaporean Laksa or Curry Laksa, a noodle soup is definitely worth a try. The soup is created with a blend of fresh spices and herbs and also contains coconut milk. It has rice noodles mixed with bean sprouts, typically topped with seafood, fish balls and eggs. 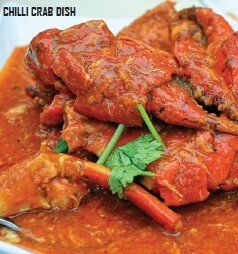 The broth has well-balanced richness and spiciness that tickles your taste buds lovingly. To name a few other must try dishes: Wanton Mee or Wanton noodles, Dim Sum or ‘Dian xin’ (varieties of dumplings in a set), Kaya toast and soft boiled eggs, Satay sticks at Hawkers Center, chweekway (water rice cakes, Varieties of Pratas, flat breads or commonly known as parathas in Nepal), Duck rice, Chicken gravy rice that comes with a chicken leg, Sambal stingray (BBQ Fish), Chilli Crab dish, and a dry squid. Shop with all your heart: If you are a shopaholic, then you are in the right place. Ranging from the affordable to high end outlets, you can find any brand in Singapore. The number of stores in most of the stations and malls in this city is astounding. The shopping complex of Marina Bay has become one of my favorite placesto shop where you can find anything you are looking for, and also has theaters for entertainment. However, the most famous area to shop in Singapore is the Orchard Road. So, head down to the fashion street and lose yourself in the crowd.